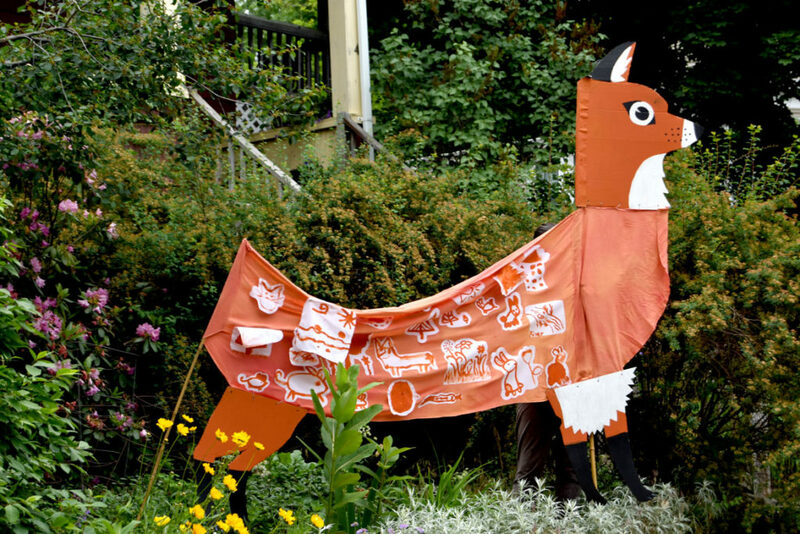 Join Us In Arlington’s Fox Festival Parade Tomorrow! 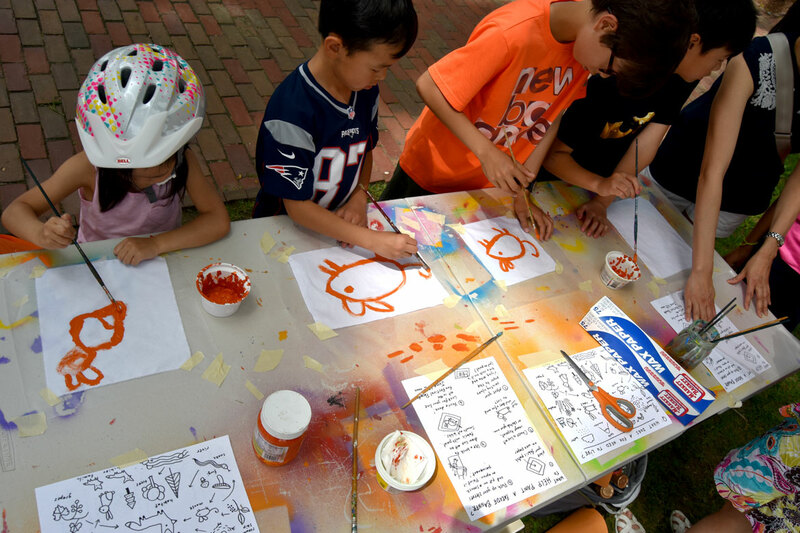 Join Us In Arlington's Fox Festival Parade Tomorrow! 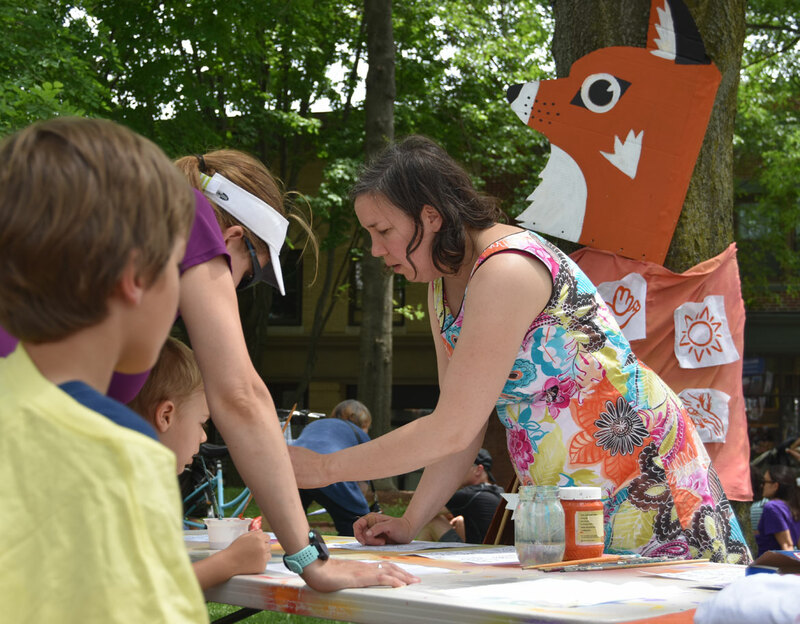 Last Saturday, during Arlington’s Porchfest, families helped us paint patches illustrating what a fox needs to live during a free parade craft workshop we hosted at Arlington’s Samuel Whittemore Park. They’re now part of the puppet fox’s body. 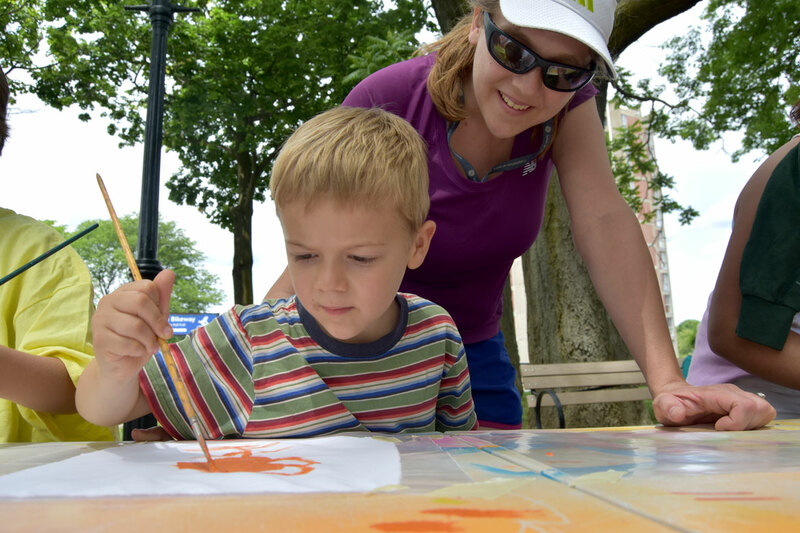 Tomorrow, June 16, walk with us in the parade, which departs at noon from the Fox Library at 175 Massachusetts Ave. All you have to do is show up. We’ll have masks and giant puppets and banners for you to use—or bring your own. The parade will be led by the Second Line Social Aid and Pleasure Society Brass Band and also feature giant puppets from Sara Peattie’s Puppeteers Cooperative in Boston. Categories: Festivals Kids Parades Parades & Festivals Wonderland Spectacle Co.